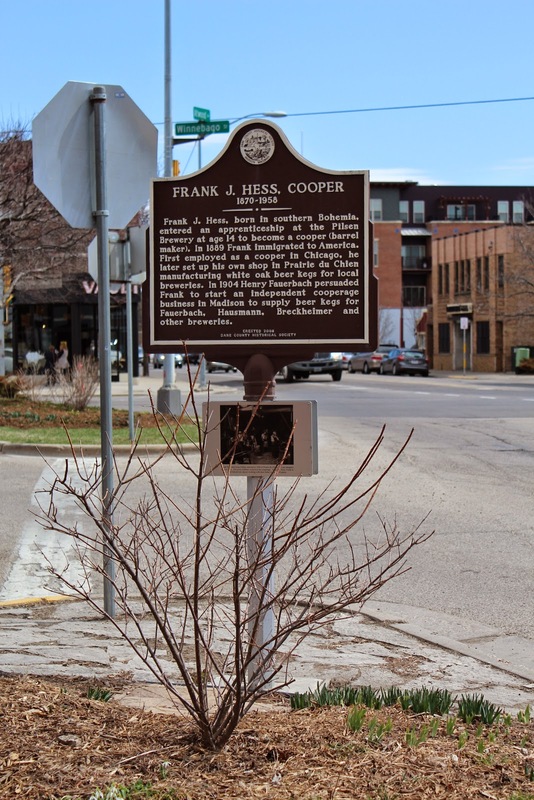 Frank J. Hess, born in southern Bohemia, entered an apprenticeship at the Pilsen Brewery at age 14 to become a cooper (barrel maker). In 1889 Frank immigrated to America. First employed as a cooper in Chicago, he later set up his own shop in Prairie du Chien manufacturing white oak beer kegs for local breweries. In 1904 Henry Fauerbach persuaded Frank to start an independent cooperage business in Madison to supply beer kegs for Fauerbach, Hausmann, Breckheimer and other breweries. NOTE: This is a two-sided marker: see also, Frank J. Hess and Sons Cooperage. The marker is located at a strange intersection where Atwood Avenue changes direction and stays Atwood Avenue (look at the Google Map), Monona, Wisconsin 53714. 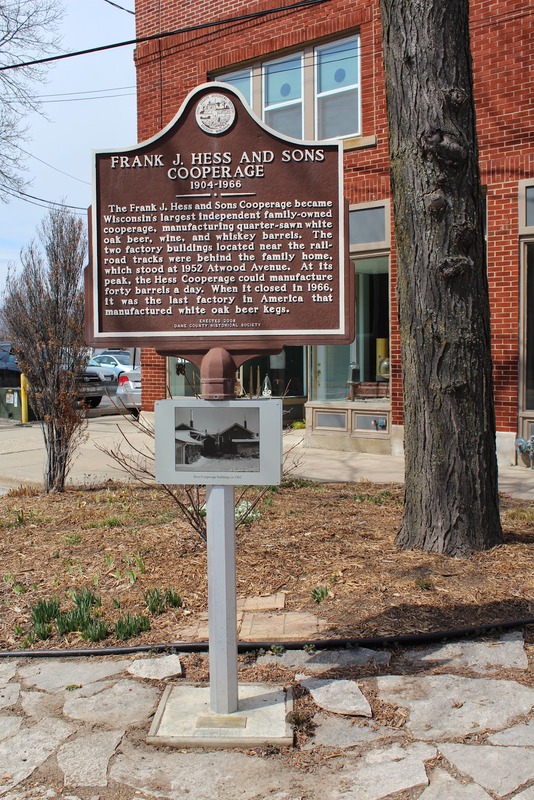 See also, Frank J. Hess and Sons Cooperage.